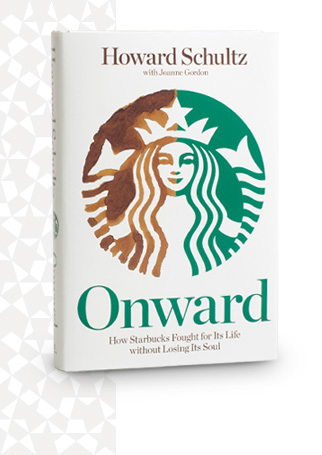 If you’re a coffee aficionado, student of leadership or intrigued by the workings of large corporations then I recommend the book Onward by Howard Schultz the Chairman, President and CEO of Starbucks. My interest falls primarily into the first two categories – coffee and leadership – though I’m not a true aficionado I do enjoy a good cup of coffee. But the second category – leadership – is what put the book on top of my summer reading list. In particular I wanted to understand how Schultz led Starbucks through difficult economic times and organizational change while maintaining and even strengthened their values, culture and brand. Because Schultz is an articulate and passionate leader the book turned out to be practical. It’s full of quotable statements about business, leadership and of course coffee, making it a great case study and enjoyable read. In reality Starbucks represents a number of the qualities we envision for SpringHill including having passionate & loyal fans, strong organizational culture built on their values and industry changing innovation that makes a difference in the world. So reading a firsthand account of Starbuck’s transformation provided some helpful lessons for both SpringHill and my leadership as we continue to reach more kids, more effectively for Christ in a changing world. By the end of the book I filled four pages with concepts I could adapt to my leadership as well as ideas that we can possibly try at SpringHill – a number of which I’ve already applied to myself and introduced to the organization. There’s one other change I made as a result of reading Onward – inspired I found our old French press at the back of our cupboard and now use it to brew my morning coffee.